Katie wasn't born into a Christian family. instead, she was born to an alcoholic mother, and by the time she was 5 years old had lived in seven different foster homes before being adopted. "By the time I came to live with them, I was a scared, untrustworthy little girl. I had learned that it was not safe to trust people, and that I needed to take care of my own needs." Although her new parents had never planned to adopt any children, they took Katie in and told her about Jesus' love. She said it seemed like a fairy tale at first. She couldn't understand how someone she had never met could love her despite all the bad things she had ever done. "As I got older my behavior started getting worse and worse until I got to the point that my parents didn't trust me. I didn't even trust myself. In June of 2010 I hit rock-bottom. I hated what I had become." Her mom told her about The Fold. Katie said she went for an initial interview with a very negative attitude, but was surprised when she walked through the doors of the Girls' Home and felt so much love and acceptance pouring out to her. It was because of this that she decided to attend The Fold's program. She said the program brought her through a lot of difficult things. "I learned to open up and share my emotions and admit when I am wrong. I have been challenged to think about how my actions and thoughts can affect the people around me." Katie said the most important part of her journey at The Fold was learning how to trust God and other people. "I had a difficult time being open with people and God because I was afraid of being judged. I'm learning that if someone tells me they love me, or that they want to be my friend I can believe them. I have learned that even if people reject me, God is with me all the time, and He has given me safe people that I can trust, especially my parents." Katie said that learning to trust is worth the risk. "I am not defined by my past. I am loved and saved by God. I have also learned that I love serving people, and I want to serve the Lord by helping children like me, and giving them a second chance with their future. My life has gone from being a life full of lies and darkness to a life full of the love of Jesus Christ." Katie's life is one of many that has been dramatically changed because of the work at The Fold. Our ministry is fully equipped to deal with the struggles teens face today. Whether it's the emotional scars of abuse or self-harm, teens who struggle with addictive issues or anger, or teens who simply need someone to come alongside them and offer grace and acceptance, we are here for you. 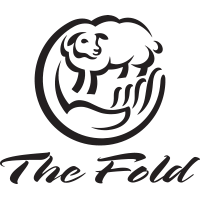 The Fold's mission is to help bring healing to families in crisis. If your teen is in trouble, please call or email us for help. Our caring and attentive staff can help get you started with the intake process to determine if The Fold is the right fit for your child.